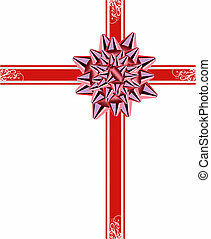 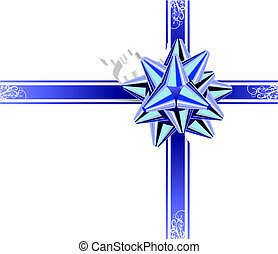 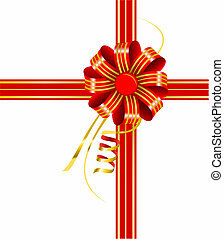 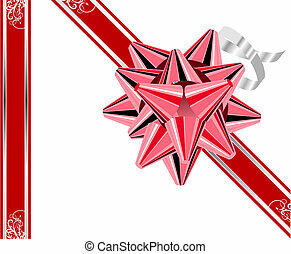 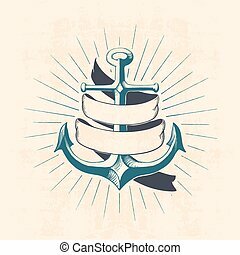 Anchor with ribbons. 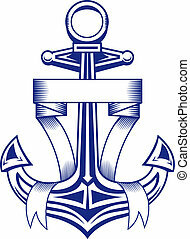 Vintage anchor with ribbons for heraldic design. 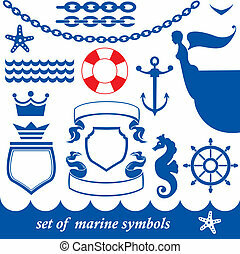 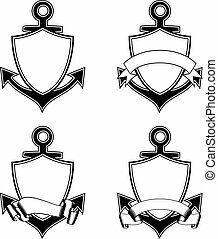 Set of marine elements - chain, anchor, crown, shield, wheel, noun, etc. 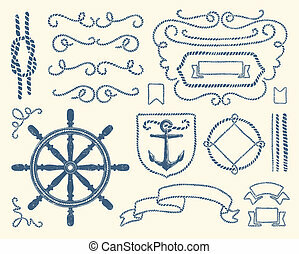 Use this stuff everywhere you need nautical atmosphere. 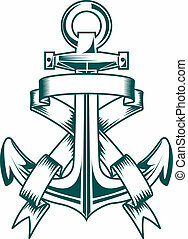 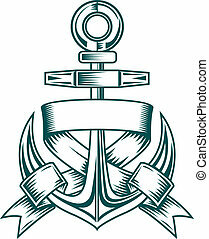 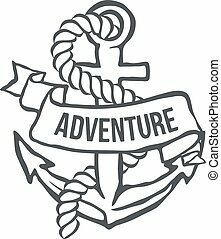 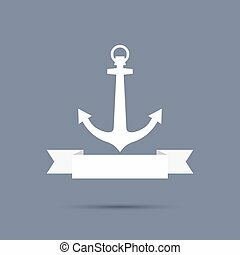 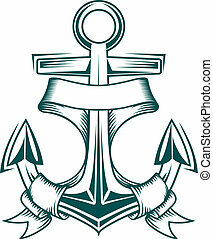 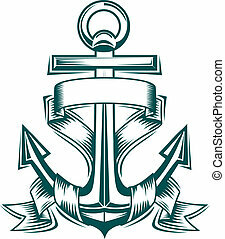 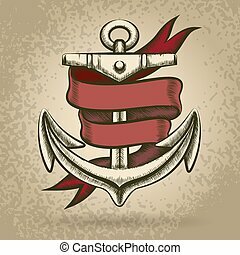 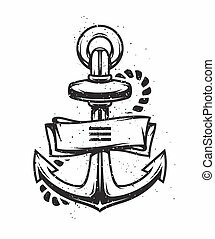 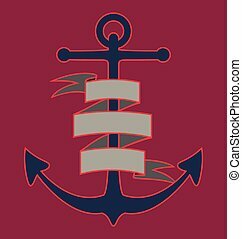 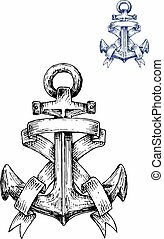 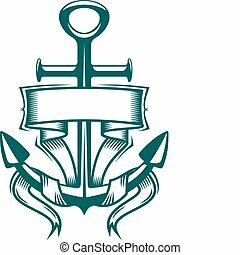 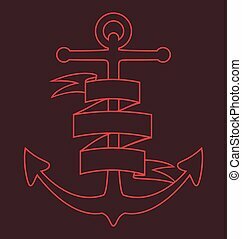 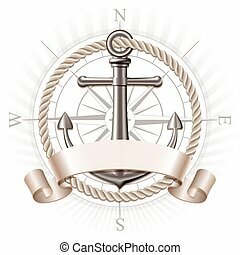 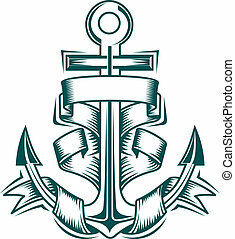 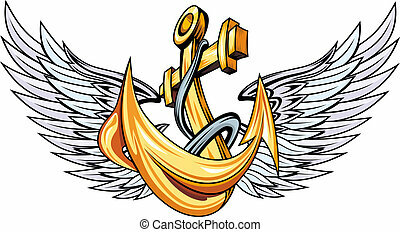 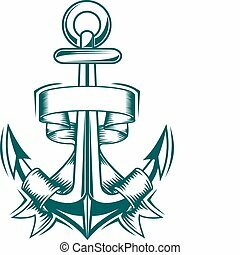 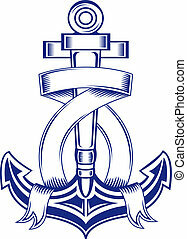 Vector illustration marine anchor with shield and ribbon set. 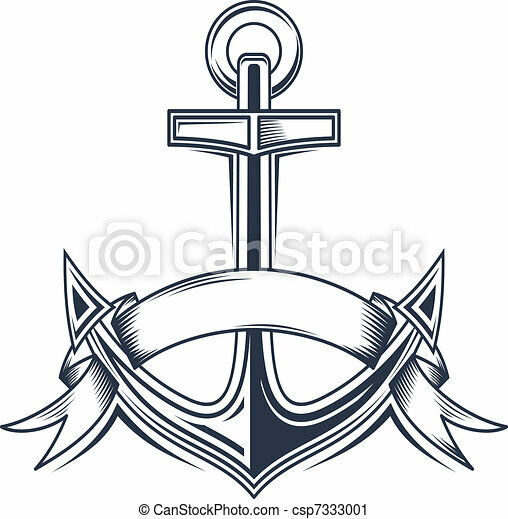 Marine logo, with anchor and heraldic ribbons on dark background. 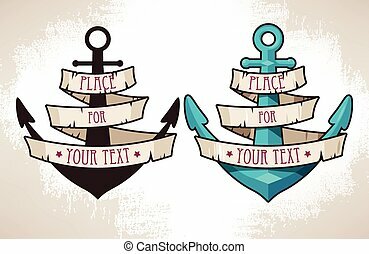 Monochrome and color in retro tones. 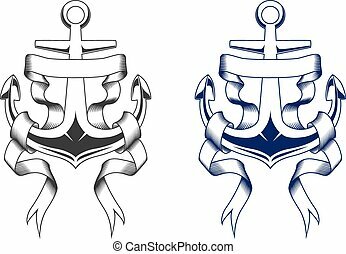 Worn texture on a separate layer and can be easily disabled.